Ghanaian Afropop musician, Kelvin Brown widely recognised as KelvynBoy has made it clear that he has tied the knot. He made this revelation in an interview with Ohemaa Woyeje on Adom FM’s “Work & Happiness” on Wednesday. 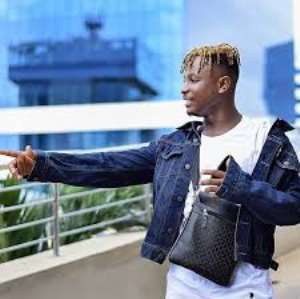 Earlier, the musician who has been labelled as Stonebwoy’s protege allegedly cautioned some Ghanaian girls to leave him alone to focus on his career. When Ohemaa Woyeje asked if he has a girlfriend, KelvynBoy simply said he is married to music. According to him, he is focused on putting Ghana on the map through music hence being in a relationship will shift his focus. “I can’t remember making that statement, but I saw it in an article. No one is disturbing though, and I am not dating. But I am married to music, so I am engaged”. KelvynBoy however, urged his fans to expect his songs earlier than expected.